Melting Pot designed by Sandro Santantonio for Axo Light is a beautiful suspension lamp with lampshades available in 2 different finishes: with light or dark decorative patterns. 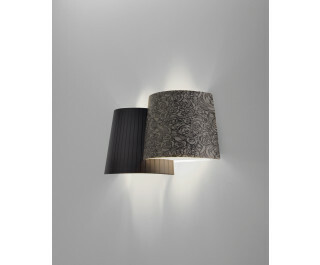 The light finish features a light patterns outside and white inside, whereas the dark version presents a dark patterns outside with gold inside. Also available in 3 different types. Protection Index IP 20.